For those of you who have seen the critically acclaimed Sundance Channel murder mystery set in New Zealand, Top of the Lake, MYSTERY ROAD is going to seem rather familiar. A small Antipodean town is riven with drugs, teenage prostitution, racism and a police cover up. The problem is that while Top of the Lake was taught, tense, genuinely sinister and anchored on a devastatingly affecting central performance, MYSTERY ROAD is overlong, overdrawn, with a paint by numbers plot and a final shoot-out so overblown that the audience was laughing at it. The plot, such as it is, sees Aaron Pederson as a smalltown cop where a young Aborigine girl is found murdered. He begins his investigation in the teeth of opposition from town's white cops, and stumbles on a subculture of drugs and teen prostitution. Tragically, he finds himself similarly alienated from his own indigenous community, as a man sent to investigate his own. Worse still, his daughter, living with her alcoholic abused mum, is right in the target demographic of the victims. The movie unravels at a deeply slow pace to reveal police collusion and ends in a somewhat bizarre stand-off. On the way, we get some interesting insights about contemporary race relations in Australia - some stunning cinematography from director Ivan Sen - and the evocation of Australia as a kind of lawless, corrupt Wild West. But ultimately this movie needed a better script, a better editor, and a less ludicrous ending. MYSTERY ROAD has a running time of 122 minutes. 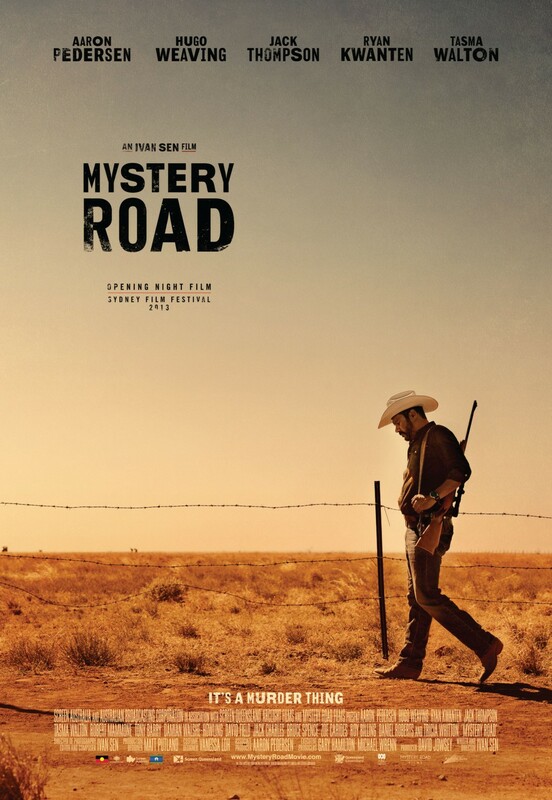 MYSTERY ROAD played Sydney, Toronto and London 2013. It opened earlier this year in Australia and the USA.